Best for: People who have decided to live in a place of their own while still saving more money. Al Nahda comprises two subcommunities — Al Nahda 1 and Al Nahda 2. The community is bordered to the south and east by Al Qusais, while the west is by Al Mamzar. It is bounded to the north by route E 11 (Al Ittihad Road) and to the south by a local road (204 Road). If you are looking to work in Dubai, save on rent but still live in the city, Al Nahda offers the most competitive and reasonable rates on the housing market. 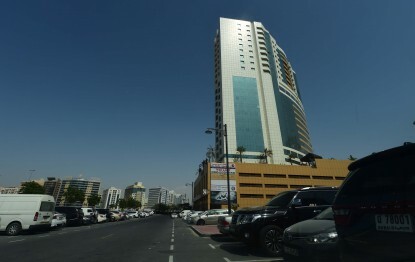 It is one of the newly developed residential and commercial communities with several supermarkets like Al Maya Lal’s Supermarket, Spinneys, Carrefour Express and Lulu; and restaurants in the area. Families also find it very convenient with brimming moneychangers, banks, retail shops, schools, hotels, sports facilities, hospitals, pharmacies, and ample paid parking spaces in the area. The advantage of developing this community is that expatriates, who used to spend almost 50 per cent of their combined income on shared villas or flats, have now started renting on their own and experienced moving and living in a bigger place they can call home. Not only is the place affordable for bachelors and families, it is also connected to malls, the Al Mamzar Beach Park and the Al Nahda Pond Park. This place is considered a family-friendly community because of the nearby parks, which keep residents busy and healthy during cold and hotter seasons. True to what residents say, almost all units are spacious and well maintained. Other new tenants were lucky to have been offered lower rental rates in buildings with facilities like swimming pool, gym, sauna, and steam room. Building owners are also keen in keeping the safety a priority for residents with very good security amenities and services such as safety entrance code systems on all gates, CCTVs at all entrances and halls in all floors, and 24-hour security personnel. Because of the blossoming rental popularity, some residents are at times experiencing bad traffic and noise during peak hours. But they stay without a doubt because of the convenience and peace of mind and more privacy. Overall, they love being here and they feel less cramped and stressed. People who have decided to move to Al Nahda just appreciate the fact that they can live in a place of their own while still saving more money. Thinking about making the move to Al Nahda, Dubai? There are lots of properties for rent in Al Nahda. Residents Dislike The commuter traffic and noise during peak hours. Some parts of the Al Nahda community are connected via the Al Nahda and Stadium Metro Stations. There are also plenty of bus stops that cater to residents and company personnel who travel by public transport. The area is very accessible to private vehicle owners with nearby E11, E311 and Al Khail Roads. The best thing about this community is its proximity to the Al Mamzar Beach Park and Al Nahda Pond Park. You can take a swim, do water sports the water park with the long, sandy beach at the Al Mamzar Beach; or play ball games and do exercise at the Pond Park. There are also several dining options with different cuisines to choose from, which is really perfect for families and friends who love to gather and just spend a relaxing evening eat out.